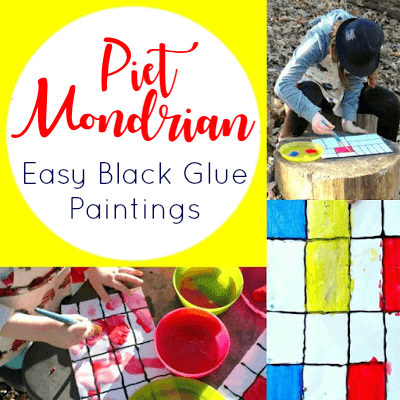 Inside: A fun Piet Mondrian project for kids! 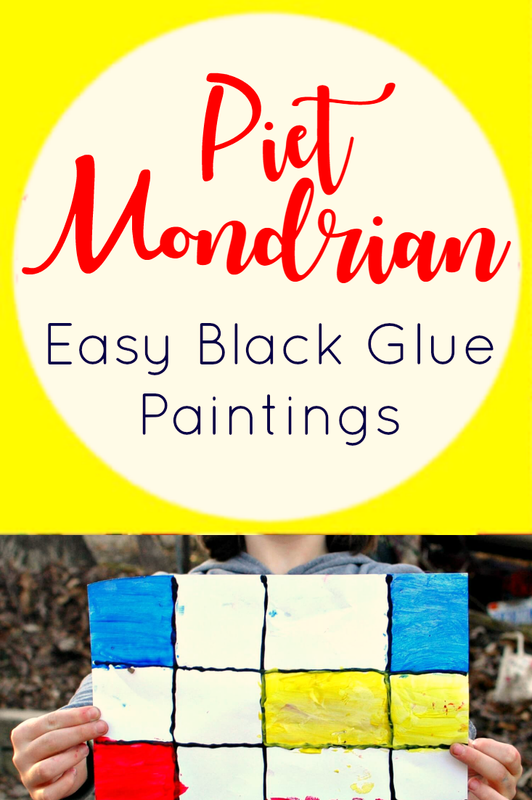 Using easy black glue paintings to explore his grid series. 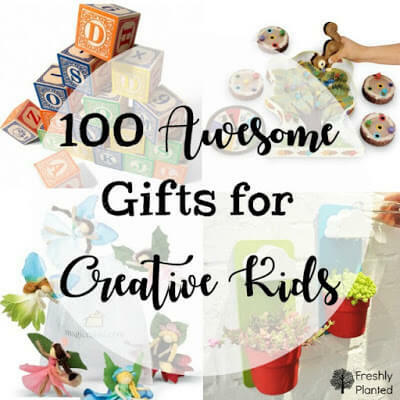 Perfect for toddlers, elementary, middle school and the multi-age homeschool art classroom. When friends arrive their excitement is contagious. "They're here! They're HERE!" bounces off the walls as muddy shoes race through the house. Because who has time to take off shoes when bearing important news? Three little bodies drape over my arms and legs to share the good news before racing back to the front door. We've begun trading monthly dates with good friends and their little ones had just arrived. 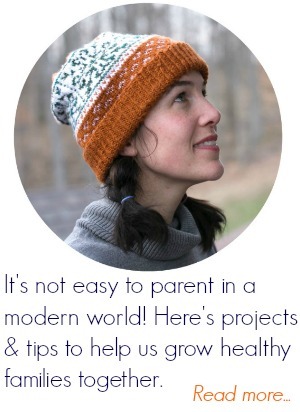 Through babysitting and playdates, it's normal to have two or more extra kids running around. Since tonight was an extra four kiddos, we had considered something low-key and non-messy. However, the kids really, really wanted a painting project. I began to have second thoughts while assembling the supplies. 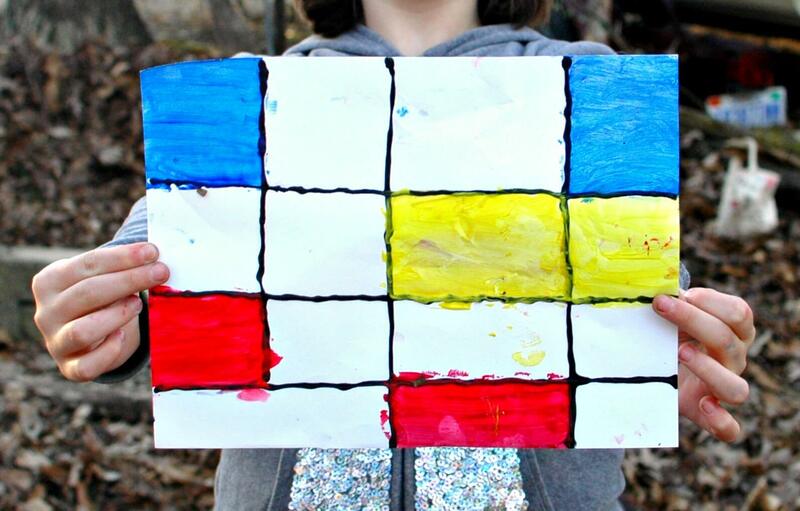 But the kids already knew there was painting, and there's no easy way to disappoint seven kids. 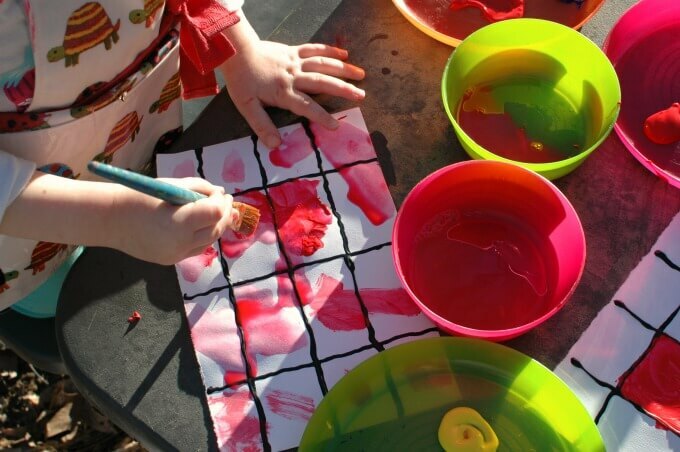 So we took it outside and minimized the mess through smocks and a large pile of wet washcloths. Which helped a lot! 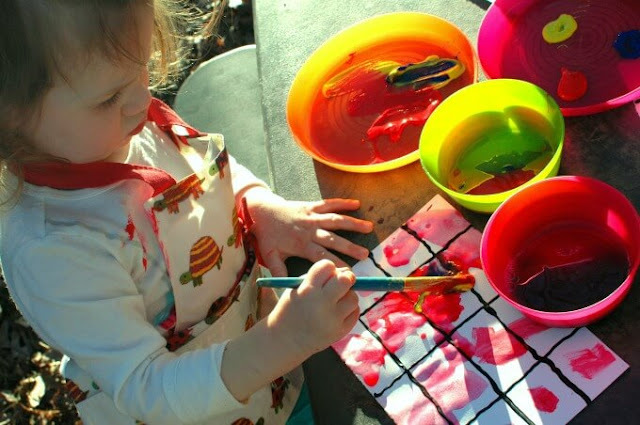 The older kids understood the project best, but the toddlers had a great time too. 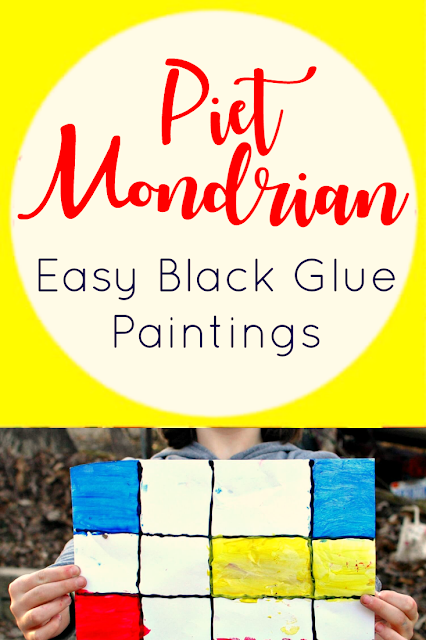 It's a perfect multi-age art project and a fun way to introduce kids to Piet Mondrian. Squeeze a grid pattern onto the paper and let dry overnight. *TODDLERS: We've used these brushes for years! Perfect for little hands. We also use tempera since everything ends up in mouths. 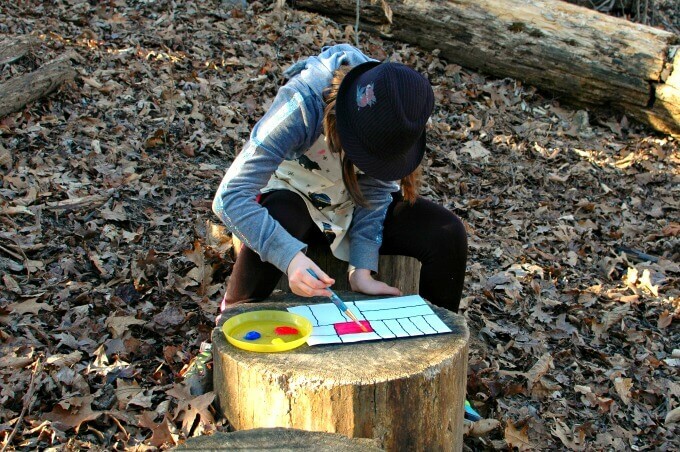 *OLDER KIDS: Encourage them to use yellow first. 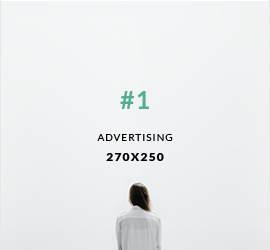 It's the lightest color and picks up other colors easily. Cleaning out brushes well between colors will help them stay vibrant.